Big Hair. Who loves it but can't achieve it? Getting body into flat limp hair is a girls ( or boys) hair nightmare. We all know how we want it to look, but actually achieving it is a different matter. 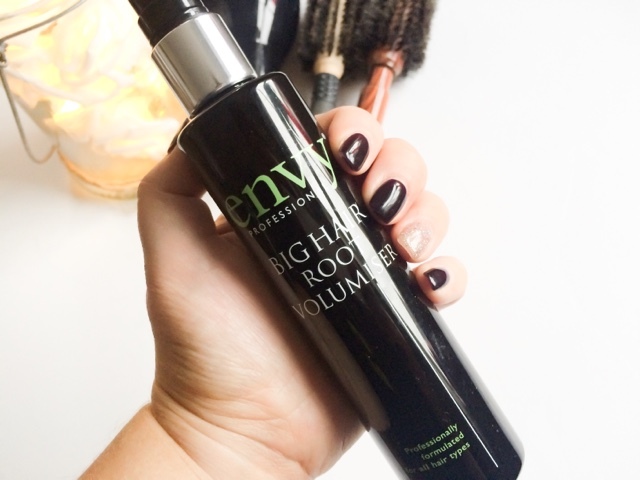 When I received Envy Big Hair Root Volumiser* I had in my mind that is was going to be one of two things. A. It would be completely useless offering nothing more than the slightest of hold. or B. Be crispy and gel like in the hair making it a nightmare to work with. I have come across quite a few of these types of "volumising sprays" in my time, and as a hairdresser I want a product that does what it's meant to do without leaving the hair caked in product and a birds nest at the end of a good nights sleep. So with this in mind I picked up the bottle and took it to work with me to try on unsuspecting clients. And the results? pretty damn good. The spray firstly smells amazing, fruity and fresh with hints of grapefruit, and much like the Envy Dual Fix 12 treatment I recently reviewed. When sprayed evenly in to the roots of the hair, it didn't leave a tacky or sticky film - so we're off to a good start already. As I started to dry the hair I noticed that there was more grip to it, making the style I was creating easier to mould and shape. It's almost like a thickening agent that gives the hair texture and makes it more cooperative, and it definitely added volume and bounce. What was better more was after I had blow dried it there was no trace of it left behind in the hair, apart from the hair looking and feeling a lot thicker. I had clients coming back to me saying "my hair had so much body" "it really thickened it up!" If you're looking for a new styling product that will help achieve body and thickness I can definitely recommend this! 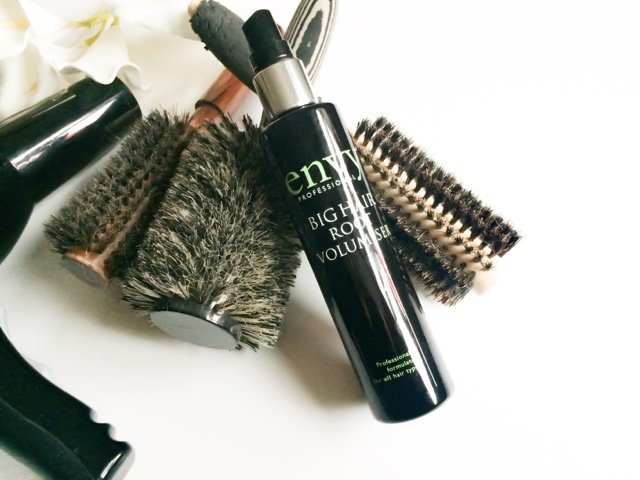 What's your Big Hair Hero product? Have you tried this? Where do I get this hair spray from, Lou? Given that you are a hairdresser, I trust every word you are saying about it, I want it!